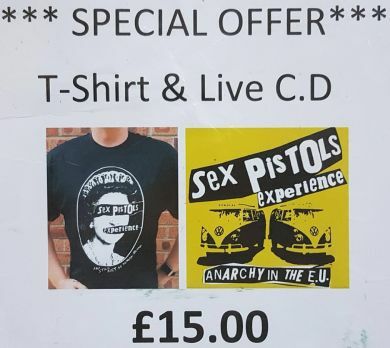 Pick your T-shirt, colour & size, & we'll send you our latest live C.d at a special offer price of £15.00 for them both. Inclusive /Free u.k postage *Europe P&P please add £3.00 to your paypal payment *U.S.A, Australia, Asia/Worldwide please add £4.00 to your paypal payment Remember to add a message to us telling us the size & colour shirt you want. Put your shirt on, turn up the volume & leap around your living room until the next time we hit town..!